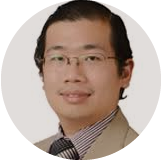 As sought after for his view of the market trading as he is his mentoring abilities, Kaye Lee makes a formidable opponent to be trading against in the market. Just as well as we have this highly talented trader on side! A self proclaimed addict in developing trading systems, Kaye is has developed the Trader Zen Hypnosis Audio Course – the only product of its kind available today – available exclusively to Lazy Traders. Kaye, currently based in south-east Asia, specialises in trading Foreign Exchange, and both trades and consults for a private fund, and is in the process of training an international team of traders.